So, England are off to a flyer at the World Cup. Well, maybe not a flyer, but a win, nonetheless. Don’t knock it – it’s the first time the England team have won their opening game of the tournament since edging Paraguay 1-0 in 2006. The performance against Tunisia wasn’t perfect, and England certainly had to go through the gears to break down stubborn and organised opponents. But given what we’ve seen from some of the World Cup’s favourites in their respective opening matches – Germany losing, Argentina, Brazil and Spain all drawing – three points can’t be sniffed at. Much has been written about Southgate in the run-up to the tournament, noting all the good, progressive work he’s done so far in his career as England coach, and all of that praise is fair and well deserved. But Southgate knows that, for better or worse, he’ll be judged by his performances at the World Cup – and he made a good start. With the clock ticking down and the pressure to get a winner mounting, Southgate didn’t panic. He resisted the temptation to merely sling onto the field. Instead, his two substitutions at 1-1 were measured – Marcus Rashford for Raheem Sterling, Ruben Loftus-Cheek for Dele Alli. England kept their shape, both subs injected a bit of urgency, and patience won the day. Two years ago, at Euro 2016, Kane failed to score in the tournament. He looked jaded, possibly burned out. The abiding memory of him from that time is the baffling decision to put him on corner taking duties – there can’t have been many other nations who’d choose to use their centre-forward in that way. 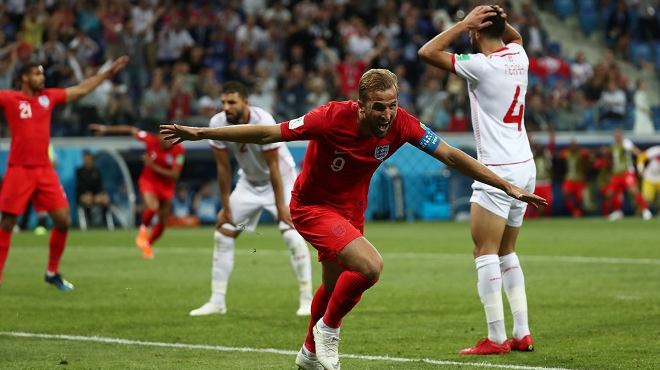 Freed from set-piece responsibilities, Kane was in the right place at the right time against Tunisia. Twice, he found himself in space in the penalty area, on hand to convert both chances that fell his way. That’s where England need Kane – right in the danger zone, not floating corners into the area where a striker should be. His goalscoring instinct looks sharp in Russia, which is a positive sign. Southgate’s decision to start Ashley Young in the left wing-back role, ahead of Danny Rose, seemed a controversial one from the off, and it didn’t really work out. The Manchester United man, the oldest player in the England squad, didn’t make the most of his opportunity and offered little going forward. He continually turned inside his man rather than getting a cross over, especially in the second half and must be sweating on his starting place against Panama. On the plus side, it was his corner that led to England’s opener. With Rose breathing down his neck, his place is potentially under threat. If anyone really grabbed his chance against Tunisia, it was Kieran Trippier. The Spurs right-back has benefited from Southgate’s decision to switch Kyle Walker to a back three – the more conventional approach would have been to keep Walker at RWB and play Gary Cahill or Eric Dier in defence, but as we’re realising, Southgate isn’t afraid to mix things up. Trippier was excellent against Tunisia. Driving forward with the ball at pace, he was a brilliant outlet for England and delivered several testing crosses. Surely keeps his place. Whisper it quietly, but the early indications are that England could make their mark in this tournament. Obviously, their chances of getting to the final are still unlikely with Brazil or Germany likely opponents in the second round or quarter final, and it must be remembered that this is still a young England squad very much finding its feet at this level. But still; if England can go about their business as they did in the first half against Tunisia, all fluent movement and incisive attacking play, they’ll do a lot of good in Russia and win plenty of admirers. A series of positive performances would be considered success – and England have started well.